So, at the start of the game when it says "sing your loest comfortable note," I do it and it doesn't work. I also can't change the sensitivity. Hey GannonStrike! Thanks for downloading the game and sorry to hear that you can't get it to work. Have you tested your microphone outside of the game? You may need to raise the microphone volume externally by increasing the gain on your microphone or changing it in system settings. On Windows, this is under Sound>Recording>Microphone>Levels. On Mac, it's under System Preference>Sound>Input>Input Volume. can i download it to a chrome book? 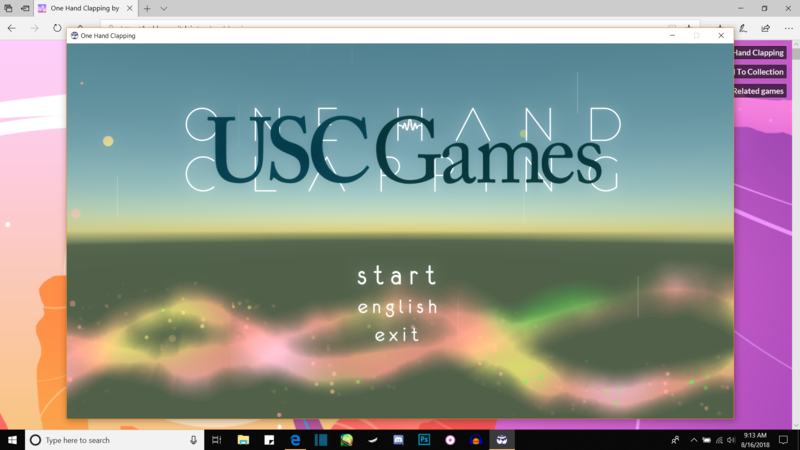 Unfortunately it's not built for Chromebooks, but from what I read there are apps available that can help you run Windows programs. I can't say I've ever tried that, but if you give it a try, please let us know if it works! Thanks for downloading! Would love to play this game but i cant get past the part with the sing whistle or hum your lowest tune because it does not detect my mic (snowball) nor can i access the escape menu. And that folks is how i found out i can't sing! Fun concept though, loved it! Music to my ears. Loved the video RVZ, thanks for playing! Extremely unique gameplay!! Phenomenal job, I really, really hope you expand on it!! Loved the moment you figured out how the shrines work. We'd like to share your video on Twitter - what's your handle? By the way, we're working on expanding One Hand Clapping into a full-length title. 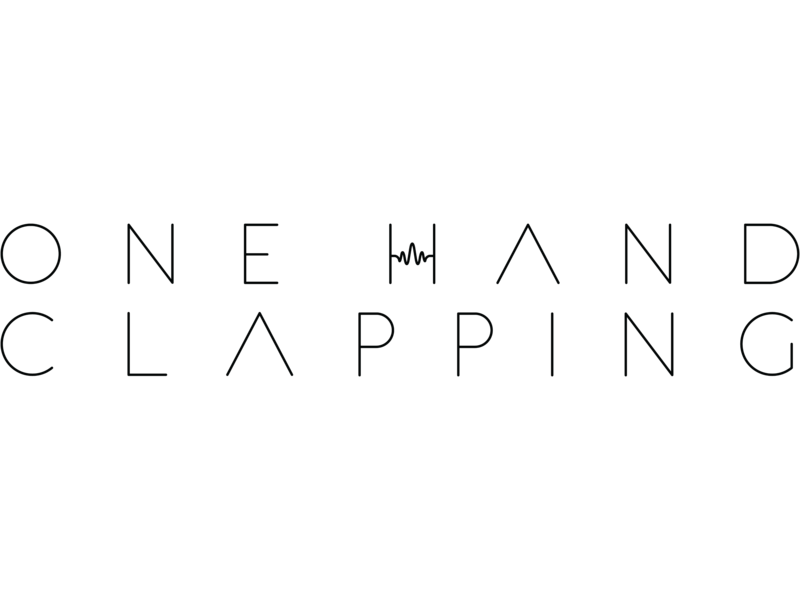 You can stay tuned in by signing up for newsletter at onehandclappinggame.com. Thanks for playing! Yesss, I’m so excited you’re turning it into a full-length title, just subscribed to the newsletter! One of those one-off games I did on the channel that really still has me craving more, so I’ll definitely be supporting that when it comes out! And sure, share away, I’ll be sure to follow you all on twitter as well. My Twitter handle is @TheUSAviator, glad you enjoyed the play through as much as I did! I’m very happy to hear that. Loving your voice is super important! I tried this game on my Mac Pro. However, the game cannot detect my voice at all for some reason. Anyone know how can I solve this problem? I loved this game. I always put it off for no reason, and I'm glad I finally made time for it! Incredible concept! Awesome game, I really loved it! The game was amazing, I definetly recommend it. Great job guys! Okay, so i really love the game but whenever i open the file from desktop it tells me about downloading a file it considers a threat to my PC or whatever. and it runs so slowly that i cant even play! HELP! I've loved this game, please make a longer gameplay because I need more of it. Congratulations, this game is one of the bests and more originals that I've ever played! Hey, it would be great if you add it on Android too. As I have a better phone than my PC, I think I'll be able to play it and post on YouTube. It's a great game and I love it. I only have one issue though. I was having a huge issue with the what is the vocal range. In the game it said to sing your lowest note which you are comfortable with, which for me is around G3 if middle c is C4. But I can go as high as E6, and on lucky days F#6. So what i'm trying to get at is if someone has a huge range then the notes for you to hit aren't very well represented in the game. Is there a way you can ask for the player to input the highest pitch they are comfortable singing as well? If so, when you calculate what note to hit can you just take the ratio of the distance between the notes shown one the screen to be more accurate for the person? Thanks for making a great game! I've had a great time with this title, I love it! Me lo he pasado en grande con este titulo, me encanta! My daughter and I had a blast playing your amazing game on our live stream! Thank you so much for such a beautiful, sweet and very fun game! Hi! I sent a form via the trouble shooting link in the document that came with the game, but I also wanted to try my luck here, in case this was something I could fix easily on my own. Yikes. Yeah me either, my dude. Sounds like an unnecessary risk. thank you, I appreciate your community surveillance. Also I do really love this game, I was able to play it on my previous computer presumably because AVAST didn’t catch it. I also showed it to my sister she thought it was pretty cool because she loves singing. Thank you for the reply, and for passing this along to the other devs. Your game is fantastic and I wish you and your team the best with the game's development. Good luck. This game was amazing. The art and animation throughout the entire game was extremely visually pleasing. The audio engineering was brilliant (although I was copyright claimed by a song near the end, it's totally fine though). I didn't realize that I could turn up mic sensitivity until I started editing the video, so get ready for lots of screaming from my face hole! The concept and mechanics were super unique and I rarely ever see a game that uses microphone integration in its gameplay. Very great job on this one! Thanks so much for making it! I really want to know how this game is programed, what a cool game. What an odd game this is! But the idea behind it is very cool! A game controlled by your voice! Had a blast! This game was awesome loads of fun I’d love to see more levels or maybe a multiplayer. Thought about bringing it to steam? Love this game. The background and aspect was beautiful. I recommend this game to be play with everybody that love music and singing challenge. I really love this game, It's beautiful in every aspect and it's fun to play with friends and family as everyone tries to match thier own vocal range to the note. I love the art and colours used, I adore the contrast of the dark, creepy city to that of the bright, cheerful desert and everything inbetween. You have done a great job and should be very proud! I cannot wait to see what you make in the future. Amazing. This was a stunningly beautiful game. This is why I love indie games. They breathe new life into gaming and give us original concepts like this. Everything from the visual design to the picking up of your voice was done masterfully. Do you plan to add on to this game? If so, I can't wait to play more! I Really Amazed on this Game! I heard about this and watch this, And I Struggled to play for this and Finally Made IT! It has technical problem, but this game is so attractive. I played and streamed my twitch and youtube. ! Thanks for your game! It was AWESOME! It would have been nice if it was longer. JUST SMILE ON MY FACE! I was not expeting this game to be this amezing. I cant stop laughing. Game make echo of our sound and that sound super funny. I made video singing bollywood hindi songs and it turned out very funny. Very nice game Hope to see more games like this. Thank you for this amazing game! I streamed it originally, sliced that out and put it on YouTube - in case anyone wants to see the game in action <3. The game is very good. There are two questions: 1 At the beginning of the game, I guess the tone test will be better if it ues the same model like going through surrounding planets , 2, Is there any way to save and load my game?